Abstract: Most machine learning and data mining applications involve iterative computations over large datasets. Key characteristics of date intensive iterative applications, exemplified by expectation maximization, are compute (Map) followed by large communication collectives (reduce). We present Twister4Azure and Twister runtimes that are optimized for iterative computations on Azure and HPC platforms with interoperable collectives we study in detail. We apply them to social image, bioinformatics and search applications. 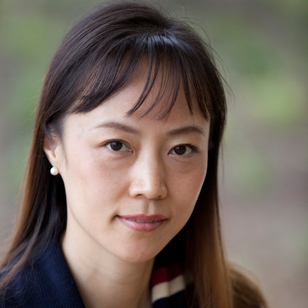 Bio: Dr. Judy Qiu is an Assistant Professor in the School of Informatics and Computing at Indiana University. Her research interests are on data-intensive computing at the intersection of Cloud and multicore technologies with an emphasis on life science applications using MapReduce and traditional parallel and distributed computing approaches. Dr. Qiu leads the SALSA project in the Pervasive Technology Institute at Indiana University. Data intensive science, Cloud computing and Multicore computing are converging and will revolutionize next generation of computing in architectural design and programming challenges. They enable the pipeline: data becomes information becomes knowledge becomes wisdom.